Alonso took just three laps in the morning session on Friday but they were three laps that left an impression. “You feel, you smell motor racing here so that’s a good feeling for any driver. The speedway is amazing size. Everything is just huge,” he said. Alonso, F1 champion in 2005 and ’06, will make a special “one-off” appearance at the Rolex 24 on Jan. 27-28, co-driving with Phil Hanson and Lando Norris. “The coolness and the high banking were special,” Alonso said. “You feel the compression in the body and you feel the visibility change, because when you are in, let’s say, the normal part of the circuit, you have a view in the car that is a little bit longer ahead. 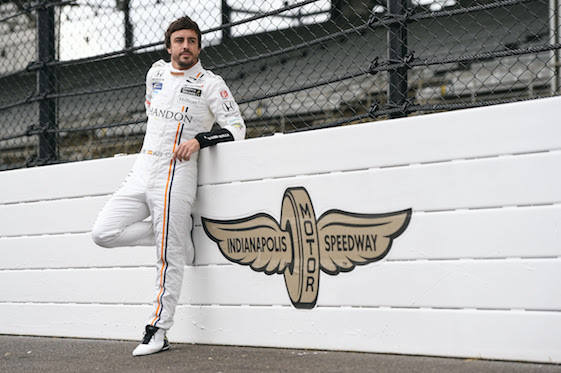 This follows another highly anticipated American debut by the Spaniard at last year’s Indianapolis 500 where he started fifth and finished 24th. The Roar continues on Saturday and Sunday.